Three years ago, Fox launched what would become one of the most dominant forks in the market with the Fox 36. 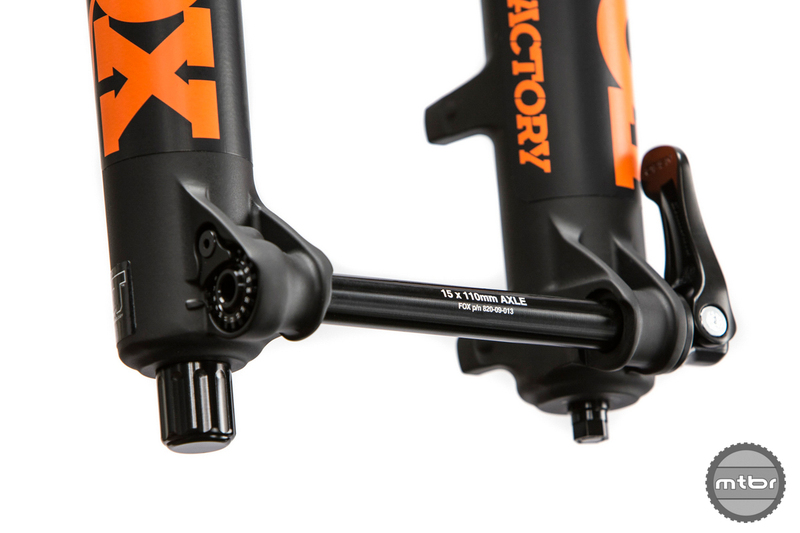 Today, the fork was updated with a more supple and better controlled EVOL air spring. The fork loses a bit weight with a bit of gram shaving. More price points and adjustability options are introduced with the availability of the FIT GRIP adjustment. And more travel and chassis options are made available. 2018 Fox 36 descending down a rutted, rooty section. 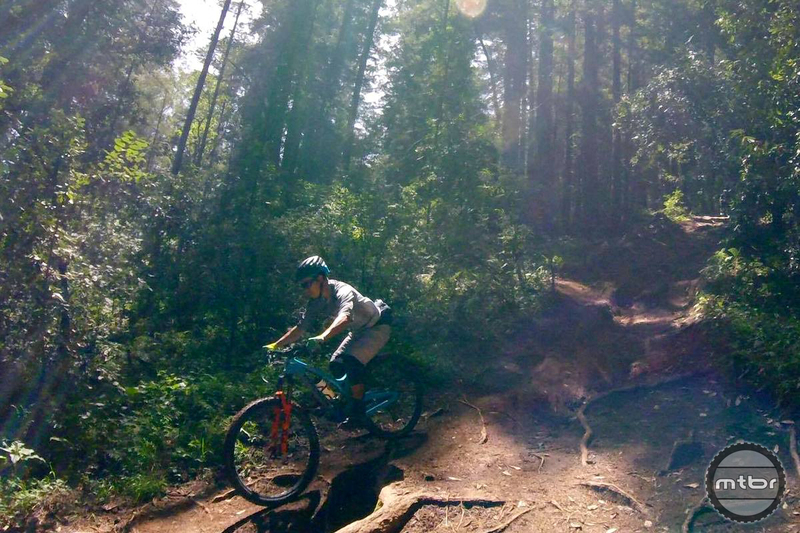 We’ve been lucky enough to ride this fork for the last month on our test Evil Wreckoning in the trails of Santa Cruz. 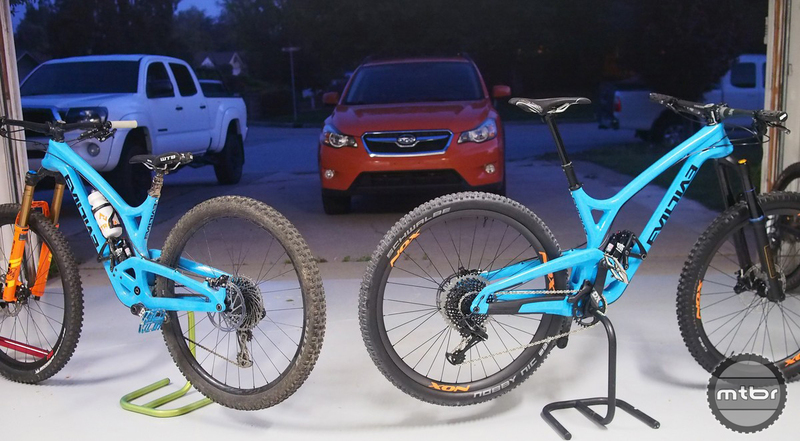 We tested it in a 29er 160mm configuration mated to a RockShox Monarch Plus and a Push ElevenSix on the rear. We started with the pressure on the low side and added in one volume spacer token. Small bump compliance was better than the previous generation, not mind-blowing but noticeable. We experienced less hand fatigue and the cockpit was calmer than usual. What was surprising was we noticed increased traction during carving and cornering maneuvers. Traction seemed to be improved with this new 36 on rough and braking bump filled corners. 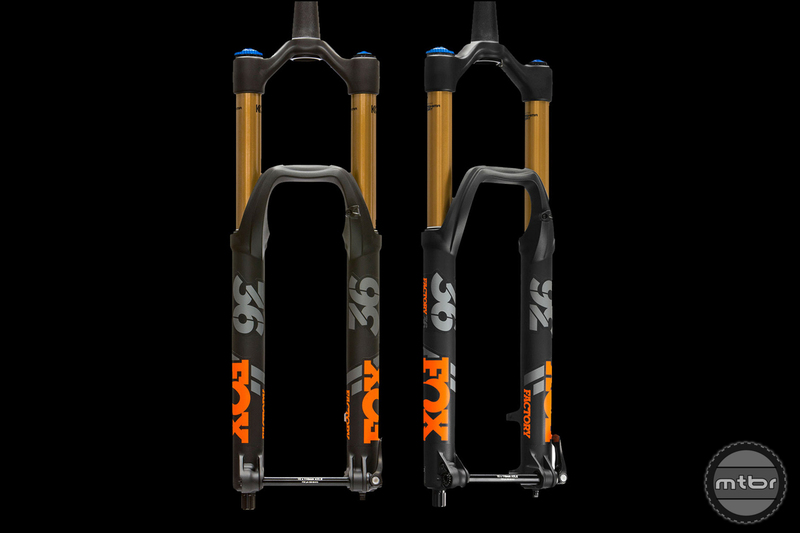 RockShox Lyrik, 2018 Fox 36 and Öhlins RXF 36. The competition delivers lots of options for the All Mountain rider today. Another observation is new Fox 36 seemed to have improved mid-stroke support. With the fork tuned for plushness, we were ready to observe the fork dive and blow through its travel but it never did. Once at sag, it was efficient with its travel, hardly bobbing while pedaling. On small drops, it was a guiding hand as it didn’t stray far from its sag position and upset the fore and aft balance of the rider. And finally, on the flow trail exit of our test loop, the front fork stayed supported as we pumped the bike for speed instead of using the drivetrain. 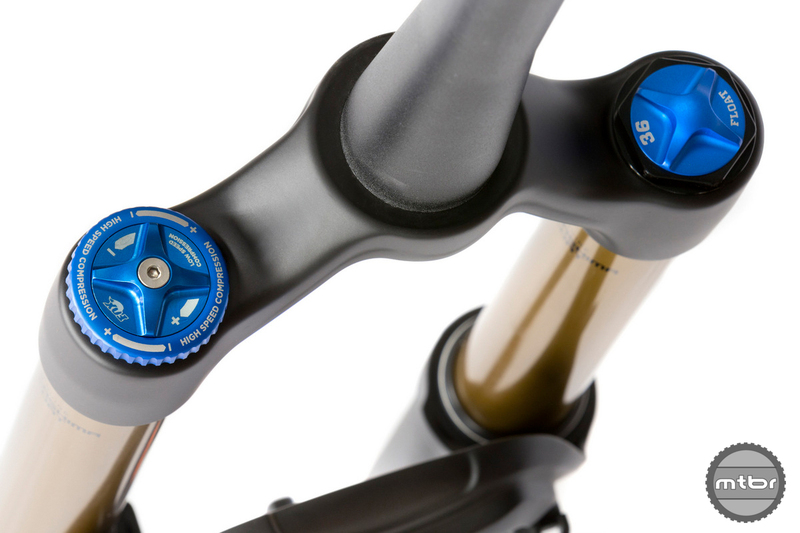 This complemented the qualities of the Push Elevensix rear as it exhibited similar qualities without ever having to turn a knob. 2018 Fox 36 with HSC/LSC damping adjustment knobs. 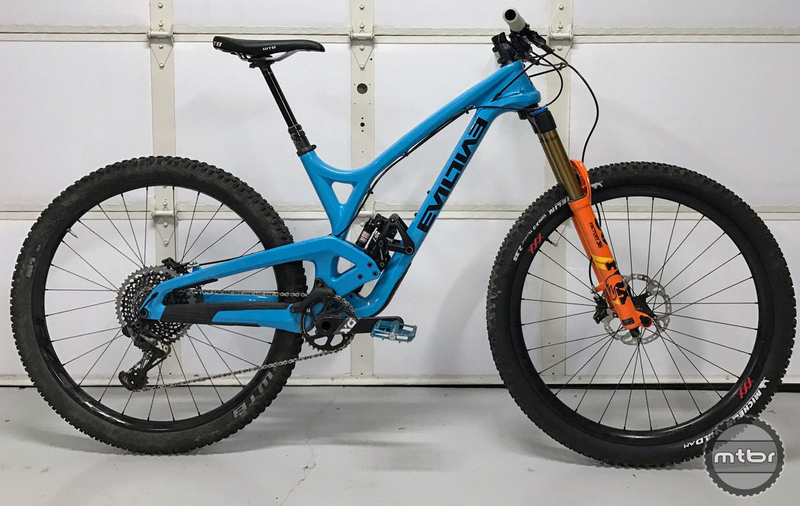 2018 Fox 36 with with uncut steer tube and no axle. Orange is attention grabbing but this is an athlete and media color only at this time. The consumer version is matte black or gloss black with attractive orange decals. That shouldn’t be a downer as this pantone version of orange is a bear to color match anyway with any frame color. The two big dials with HSC and LSC will still be available along with the trusty 3-position Fit 4. 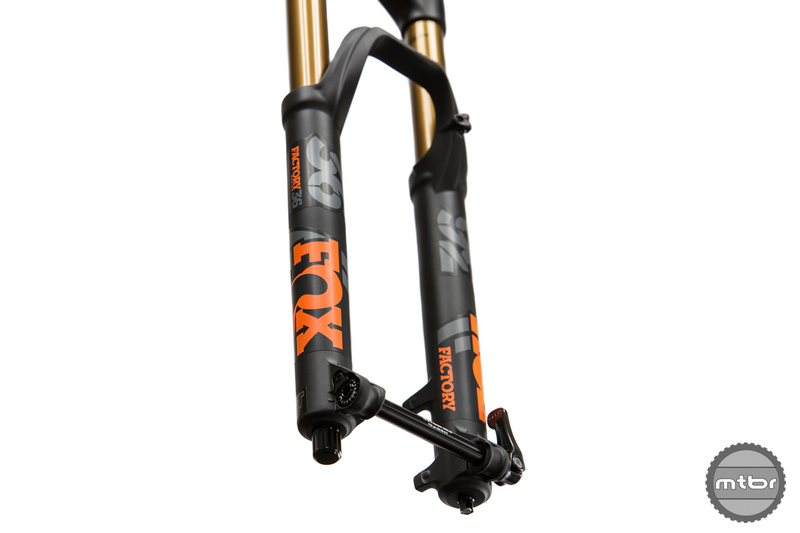 What’s new is the addition of the FIT GRIP for the Fox 36 on OEM versions. 2018 Fox 36 and Öhlins RXF 36 on test Evil Wreckonings. 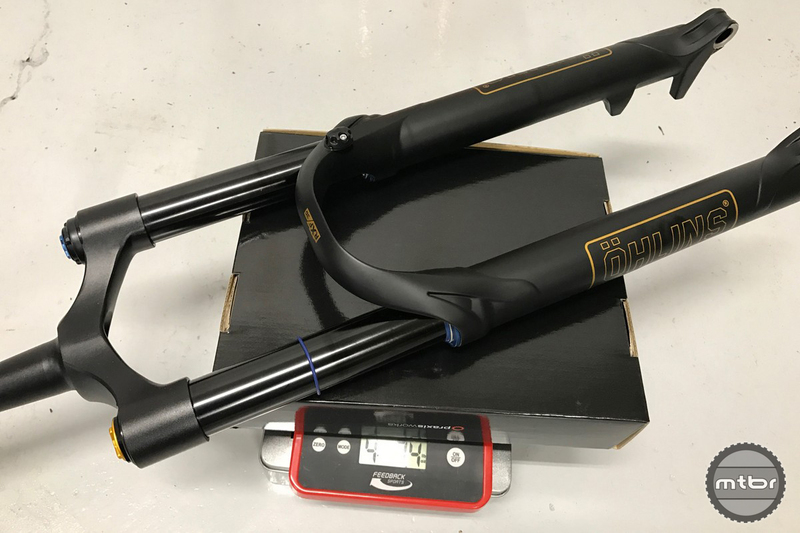 A more linear air spring curve gives EVOL forks plushness off the top, extra mid-stroke support, and more tunable bottom-out progression. 2018 Fox 36 in black with new decals. 2018 Fox 36 on test Evil Wreckoning with 160mm travel on 29er wheels. 2018 Fox 36 descending down the rutted, rooty section. 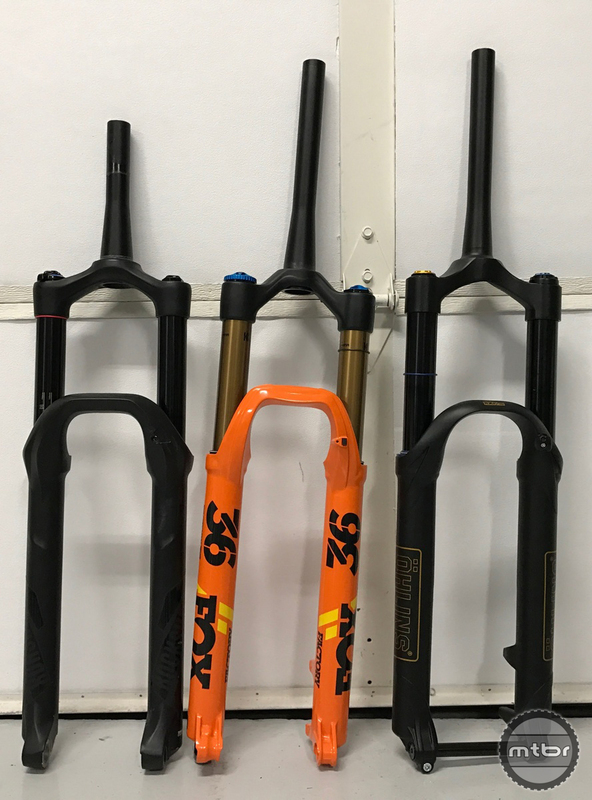 RockShox Lyrik, 2018 Fox 36 and Öhlins RXF 36. 2018 Fox 36 lowers and dropout. 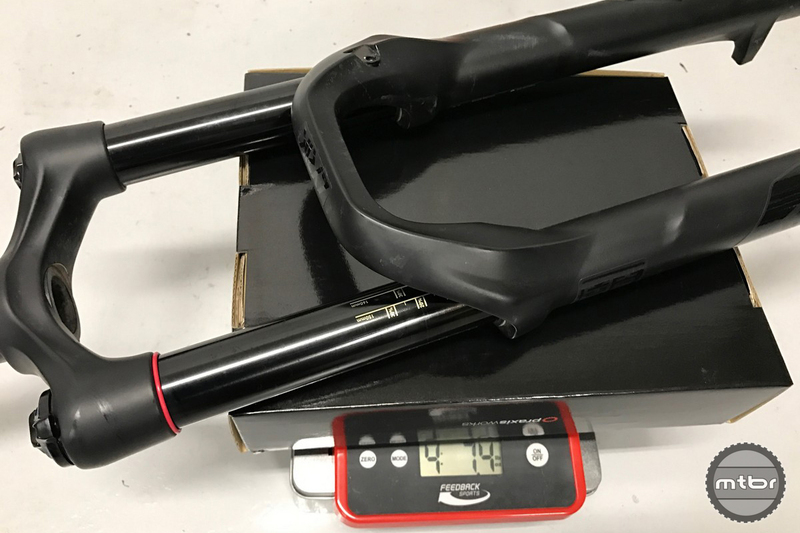 RockShox Lyrik weight with cut steer tube and no axle. 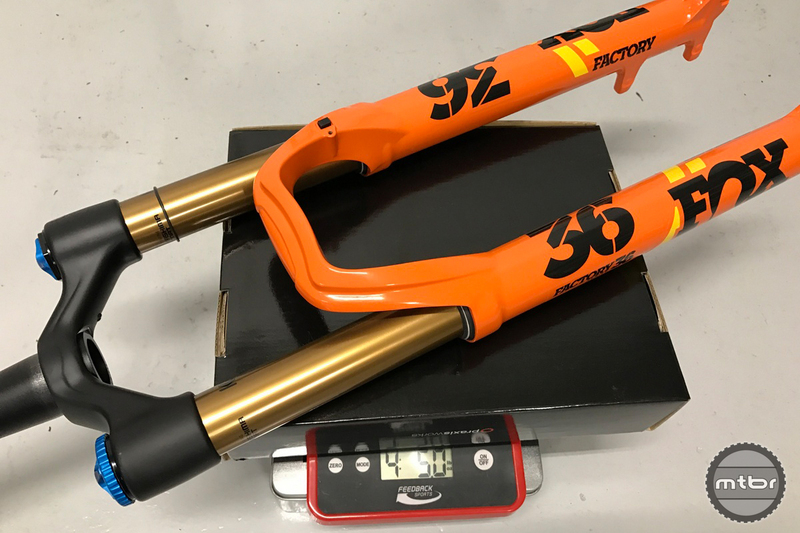 Öhlins RXF 36 weight with uncut steer tube and no axle.